The Poteau Chamber of Commerce welcomed its newest member with a ribbon cutting ceremony on Tuesday, April 9,2019. The Poteau Chamber of Commerce is pleased to announce the new location for the Poteau Family Fitness Center. 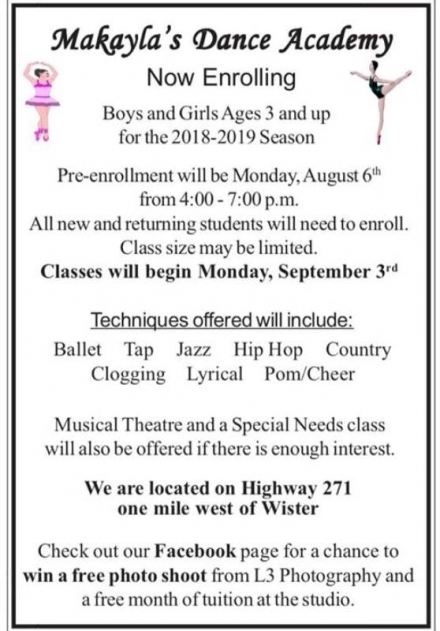 Makalya’s Dance Academy will begin Pre-erollment for the 2028-2019 dance season on August 6, 2018. Pre-enrollment will be from 4pm-7pm. 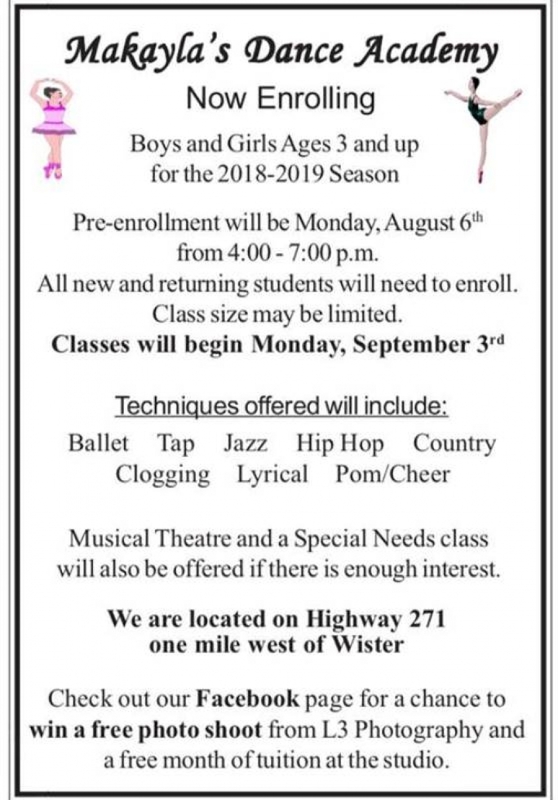 All former Dancers will need to enroll. All former cheerleaders and Dance Team members you will not have to try out for either team, those wanting to be a part of the team will need to try out after enrollment, (a try out date will be set). Classes will begin September 3, 2018.